We are really excited to bring you our second challenge here at Southern Girls Challenges, wow what a fantastic number of entries we had for our first challenge. Fingers crossed this one will be half as popular. This fornights challenge is "RECYCLED JEWELLERY" be it something from your junk drawer, a two dollar shop bargain or a peice of family history we want to see it on your creation. As always we don't mind whether you enter a layout, off the page creation or card we just want to see your take on the challenge. If you are NOT from New Zealand or Australia plese can you put INT after your name, this ensures that you get in the correct prize draw. 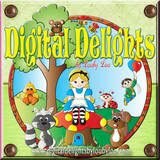 ﻿Our international sponsor is Digital Delights by Looby Loo the winner will recieve a $10.00 voucher to spend in the digi store. Well I can certainly say we were amazed by all the entries we had for our very first challenge and you all made it extremely hard to pick a top 5 this week! The lucky lady that has a yummy stash of goodies sponsored by SBO is.... drum roll... Rosanna #28 from Aussie. The lucky lady who has who gets 3 stamps/sets (up to $15 value) from Wink Wink Ink is........ Tracy #107. Congrats ladies could you email us here to claim your prizes. Whaahooo, big congrats to you ladies! You can email us HERE to get you Top 5 Winner Blinkie. Thanks to all of you that have joined in this time. Come back tomorrow for a new challenge and 2 new sponsors... who knows... you could be drawn as a winner next time! Hi everyone. We are amazed by all the stunning entries for this challenge. Only 3 hours to go before the challenge ends. Don't forget to check back tomorrow to see who the two lucky winners are and the top 5 picks... you have all certainly made the DT job hard trying to pick!! Then pop back Thursday for a brand new challenge and two more fantastic sponsors. Firstly we want to say THANK YOU!!!! We can't believe the response we have had to our first challenge. But please read the rules, we would like only 1 entry per person.... as we have such awesome sponsors, we just want to give everyone a fair chance. If you are reading this and you have more than 1 entry could you please delete any extra links and leave your favourite. Thanks for your cooperation, we knew you would understand. Welcome to our very first challenge. We have 2 fantastic sponsors for this challenge who I will tell you more about in a moment. 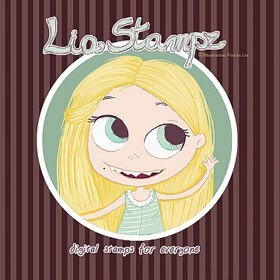 The Scrapbook Outlet NZ is your one stop shop for all your Scrapbooking and Rubber Stamping Supplies. We pride ourselves on providing top quality customer service and products at very competitive prices. Just a reminder that the challenges start tomorrow and we have AWESOME prizes lined up!!!! Don't forget that our challenges are open to papercrafters ANYWHERE. There will be 1 prize for international entrants and another that is for New Zealand and Australian entrants. And so now it is our turn, we thought that instead of doing 2 separate intros we would do a combined one since between us we decided to start this challenge blog. Trace and Lou first stumbled across each other when Lou decided she had to have Stampin'Ups "seeing spots" stamp set and discovering that Stampin Up had just arrived in NZ (This was back early 2007) she decided to find her nearest demo. This happened to be Trace, who at a mere 3 hours away was Lou's closest SU contact. After much discussion on the telephone (Lou didn't have a computer in those days) Trace convinced Lou to sign up as an SU Demo and so the paper craft loving, mutual enabling, gossiping on the telephone friendship was born. 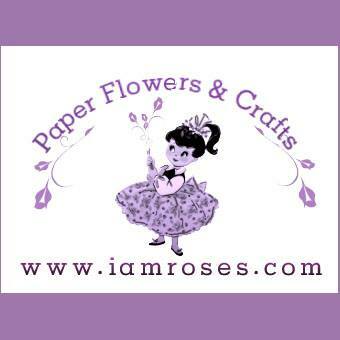 Skip forward 3.5 years and here we are, no longer Stampin Up demos and loving this wonderful world of paper crafting. 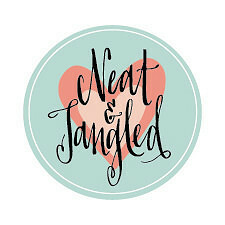 But hang on we thought ( yes so paper craftily connected are we that we share thoughts)...... "where is there a challenge blog for New Zealand paper crafters where they can win loads of yummy stash"? So we came up with the idea to start one ourselves, we had enough contacts between us and knew that there were loads of talented ladies out there who would love to participate in a NZ/AUSSIE challenge blog, we thought we better include the Aussies since so many people north of the equator think we are an Australian island anyway.lol. Then we had the brainwave of including EVERYONE in on the fun. So here we are starting on our exciting journey with fabulous sponsors and a design dream team that any challenge blog would envy. My name is Carisa & I live in Colorado. I love it here. I have 3 beautiful children that certainly keep me busy but thankfully my 2 oldest LOVE stamping with me! So I tend to get in some much needed crafty time & mommy time at once. My youngest is only 5 months old so I just let him roll & scoot on the floor next to me. I started making cards just before my oldest was born - went to a SU! party - was in awe that something I loved to play with when I was a kid was now a hobby for adults! LOL Seemed to good to be true - Fast forward 3 years when I came across SCS & Stamping Bella - then I was hooked. I found my calling in coloring images & was introduced to copics shortly there after by a good friend & great enabler! Aren't we all?! So, now I have my blog & so many wonderful friends ALL over the WORLD thru this beautiful & amazing papercrafting hobby of mine. 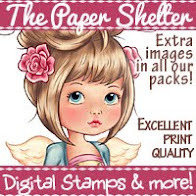 I have my favorite stamps companies which are starting to get too big to list, but I just love being an independent ippity chick! My first love is making cards & stamping but I'm trying to branch out into scrapbooking & more altered art projects because it's just all so much fun. Recently I've been asked to be on DTs which has totally been a dream come true for me. I just love the friendship that I gain by being on each one. I don't think I can stop - if there is a dt call for a company or challenge that I think will be fun to work for, I'm trying out - I've been turned down for sure, but it's always worth it to make it on a team like this one. I'm very excited to see the challenges begin & to get started!!! Hi, I’m Marie and I live in London, England with my wonderful son, Sam and our fur-baby, Tippy, who’s a chorkie. I’ve been cardmaking for a few years now after a period of ill health meant that I was spending much more time at home. 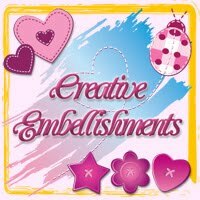 I was bored of spending night after night in front of the TV and so I decided I needed a hobby – I bought a small kit to try cardmaking and the rest, as they say, is history!! My house has now been taken over by stash and I am well and truly addicted! I’ve only been blogging for a couple of months but it’s opened up a whole new world to me – I love following other people’s blogs, I’ve started to make some great friends from all over the world and I enjoy taking part in challenges, I find that they really spark my creativity. 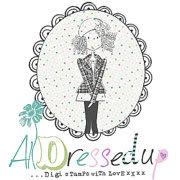 I’m so happy to be on the Southern Girls Design Team and it’s great to be here from day one! I’m really looking forward to getting to know all the other members of the team. And I hope that I can inspire you with my DT designs! "Hi There! My name is Michelle Singer and I live in Edmonton, AB, Canada. I'm a SAHM to a wonderful little boy named Cole and have a very supportive (and craft tolerant *heehee*) husband named Allan. I've always been a crafter and dabbled in painting, cake decorating, soap making and the list goes on. But about 4 years ago I discovered stamping and boy was I in trouble. I absolutely fell in love. Most of all, I love inspiring others to get their fingers inky. Check out my blog at mycreationtime.blogspot.com and see if I have created something that inspires you. I look forward to the challenges here at Southern Girls and working with such talented ladies. I hope to see you play along with us and I can't wait to see what you come up with." Hi my name is Autumn. I live in Lawton, Oklahoma but I grew up in Minnesota. I am a stay-at-home mother of four 3 boys aged 8,6,& 4and one girl that's 15 months. My DH is in the ARMY so I spend a lot of time single parenting, but we make it work and it can be useful when I may not want him to know exactly how much crafing stuff I bought, lol. I've been crafty ever since I was young and have dabbled in just about everything. My start in papercrafting began in scrapbooking and I've done that off and on over the past nine years...it's always a work in progress,lol I began blogging in February of this year as a way to get more scrapbooking done, but I discovered cardmaking, stamping, and copics and got hooked! I love trying new cards and techniques and thinking outside the box! Maybe now that the kiddos are back in school you'll even see a few scrapbook layouts from me. 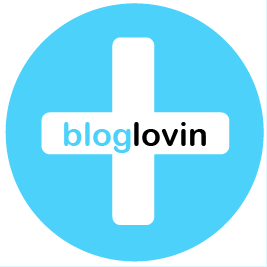 I'm so excited to be a part of this team and look forward to making more blogging friends! Hi! So glad to meet you all! I'm Bettina and live in Sweden with my husband (been together for 17 years) and my 2 kids. A son that is 14 and a 1 year old little princess. Right now i am a stay at home mum with my daughter and before that i took care of our business office. I found out about scrapping while i was laying in the hospital (I have something bad going on in my stomach, but it will be ok) there is not so much to do around there so i was hopping around in the cyber world, and i was amazed of what a saw. So much beautiful things and i thought that i wanted to try it out. I have always liked crafty stuff like painting and drawing, not that I'm any good at that. I consider myself to be a newbie in playing with paper, been doing it for about 11 months now and I'm loving all about it. I'm still experimenting and exploring this wonderful paperworld. For the moment I'm trying out just about anything and everything as long as there is some paper and some glue I'm on it. I love hopping around to all wonderful blogs and gathering inspiration and you all out there are some really talented ladies (so thank you so much for sharing with me). With this i also have found some great crafting cyber friends. I'm in my own little fantasy/dreamworld when I'm scrapping, i can dream myself to fairytale land for a little while. It has/is really been like therapy for me, i don't now how i could live without it. Well that's a little about me. Hi to all you out there. I now we will be having so much fun together here at southern girls challenges (cause i now a little something about the challenges...wink,wink, ...and don't you even try to bribe me (lol) but trust me it will be lots and lots of FUN!!! There's nothing like a good challenge to get the Mojo going. I am so looking forward to being part of the fun at SGC,and seeing all your wonderful creations. I am a screen printer by trade and have printed on T-shirts / paper metals and vinyls, I think i have always loved playing with colours and creating. I started scrapbooking in November 2006 My favourite layouts are heritage/distressed type layouts, I love to capture the mood and fell for all things old but loved.I have had some of my work published,which is very exciting for me. Scrapbooking started out as a way to preserve my families history and grew into something much more. I love the social side,going to crops and camps i get to meet and make friends that i would never have meet otherwise.